TORONTO, ON – August 28, 2018 – Where do you want to go? To the office, or off the grid? Wherever life takes you, the 2019 Lexus GX 460 will get you there – in comfort, style and luxury. The GX embodies “go-anywhere luxury”, starting with its authentic SUV body-on-frame construction – designed to isolate the cabin, better absorbing the bumps and vibrations of off-roading and raising the GX 460’s rugged reliability to a higher dimension. While such platforms are typically harsher than a unibody configuration, Lexus engineers focussed on the ride quality to ensure that the GX would live up to the comfort expectations of Lexus guests. Every GX rides on a front double-wishbone suspension with coil springs, and a rear suspension built around the Lexus Kinetic Dynamic Suspension System technology. The result is a smooth ride on pavement, and an extraordinarily peaceful interior. When the road disappears, the GX enjoys a ground clearance of 205 mm (8.1”), with a 28-degree angle of approach and 25 degree angle of departure. 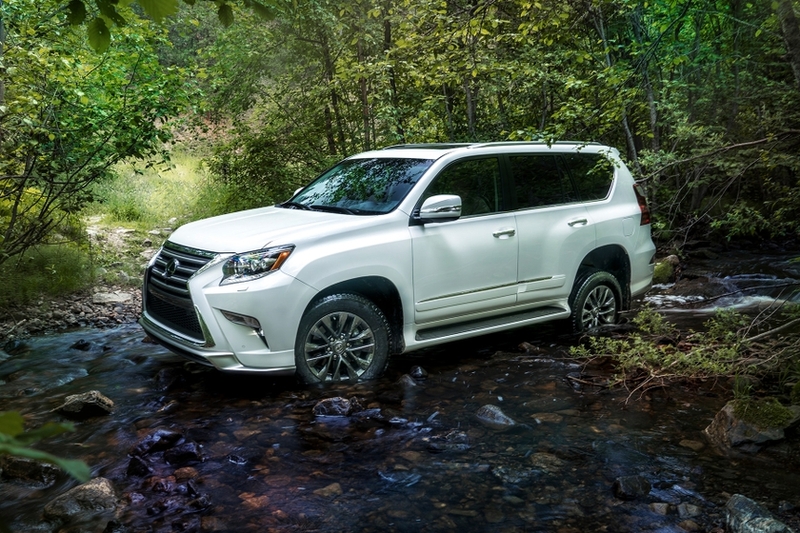 Go-anywhere performance also requires power – and the GX has plenty to offer. At its heart, the GX features a 4.6L 32-valve V8 that generates 301 peak horsepower and up to 329 lb-ft of torque. This engine is paired with a six-speed automatic super electronically controlled transmission with gate-type shifter that delivers responsive shift changes and optimizes efficiency – giving the GX 460 a fuel efficiency rating of 14.6L / 100km (city/highway combined). Power is delivered to the road or trail via a full-time four-wheel-drive system enhanced with active traction control, hill-start assist control, downhill assist control and other technologies. And when adventure requires more stuff than can be fit inside cabin, the GX is ready to haul – as every model is standard equipped with trailer sway control technology plus 4+7 pin trailer wiring harness and a 6,500 lb (2,948 kg) towing rating. The GX 460’s authentic performance is expressed in its sporty yet still sophisticated design. All models are equipped with a special Sport Design styling package – including front and rear spoiler, radiator grille lower garnish, unique LED rear combination lamps and stainless steel exhaust tip. Meantime, the striking front fascia treatment, silver-painted roof rails, LED headlamps and fog lamps, and 18” gunmetal finish alloy wheels give the GX a commanding presence. A power moon roof allows plenty of light and fresh air into a luxurious cabin that’s intentionally sturdy in design yet polished to an elegant finish. A three-zone independent automatic climate control system lets the driver, front passenger, and rear passengers control their own comfort zones. The cabin is also remarkably versatile, reconfiguring effortlessly to accommodate up to seven adults or up to 64.7 cubic feet (1.8 cubic meters) of cargo. Leather-clad seats offer impressive levels of comfort, including eight-way power adjustable, heated and ventilated front seats and a two-setting driver’s seat memory system, 40/20/40 split folding second row seats, and 50/50 split third row seats that fold flush with the floor. Great adventures are even better with a great soundtrack, which is why the GX 460 features a 17-speaker, 330-watt, 7.1-channel Mark Levinson surround sound system with integrated Sirius XM satellite radio and steering wheel audio controls. Other standard features include a voice-activated hard disc based navigation system, a wood and leather-wrapped heated steering wheel, the Lexus Smart Key System with Push Button Start, a 120V/400W power outlet in the cargo area, the automatic headlamp system with automatic high beam function, auto-levelling system and headlamp washers, illuminated running boards, chrome finished door handles, and more. As a Lexus, the GX 460 also offers driver and passengers impressive safety features as standard, including 10 airbags, the Blind Spot Monitor and Rear Cross Traffic Alert technologies, a back-up camera, a tire pressure monitoring system and an anti-theft system. There’s even an onboard first-aid kit. The 2019 Lexus GX 460 with Technology Package (starting MSRP: $77,550) adds unique six-spoke alloy wheels plus a number of driver assist technologies, including the Lexus Pre-Collision System, Driver Monitoring System, Lane Departure Alert, Dynamic Radar Cruise Control, and the front, rear and passenger side Wide-View Monitor System. 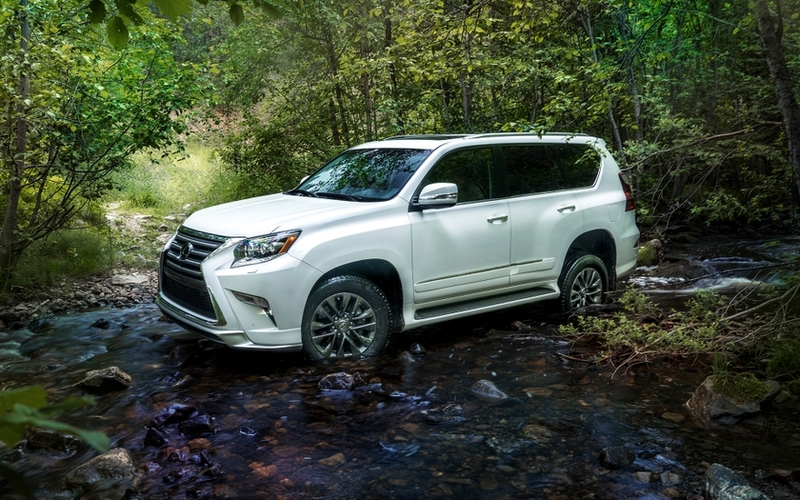 The 2019 Lexus GX 460 with Executive Package (starting MSRP: $82,350) builds on the Technology Package, adding the four-wheel crawl control and multi-terrain select system to enhance off-road control, a transmission cooler to improve towing performance, plus a front console cool box, rear seat entertainment system, and more.